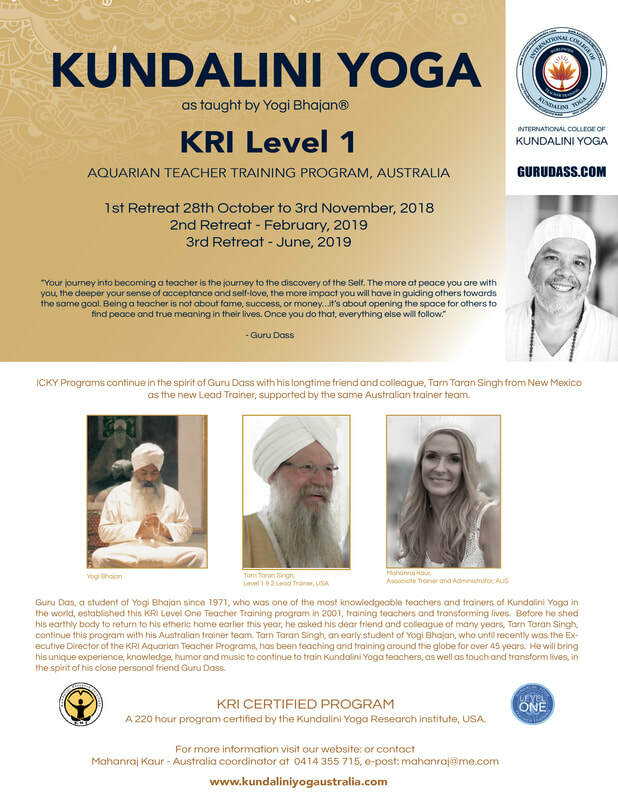 The experience of studying Kundalini Yoga with Guru Dass is much more than simply receiving training or the acquisition of technical knowledge. It is a process of understanding, of opening the heart to self-acceptance and love. It is a transformational experience into the depths of the Self - the awakening of the “authentic you” - for that is your greatest asset as a teacher and a human being. The truer you are to your self, the more authentic you are, the more effective you will be in reaching people’s hearts and minds. 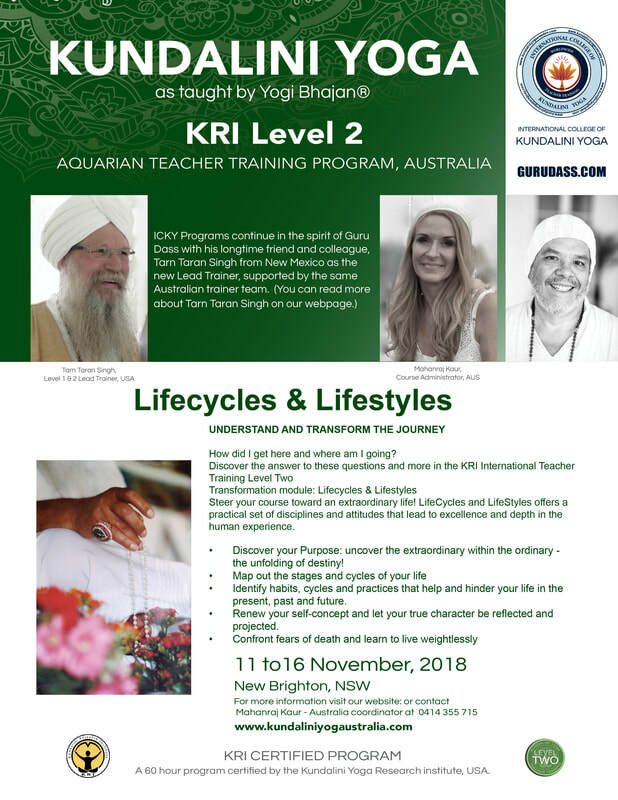 Learn from Guru Dass as he confesses the truth about himself, his life experience, his understanding and his stories as a student of Yogi Bhajan ji. Everyone is welcome, the only requirement is to come with an open mind and the willingness to be surprised. As Guru Dass says: “Expect nothing and be ready for everything”. His classes are filled with wisdom, humor, joy…and music. Let Guru Dass open your heart with his devotional chants and songs; let his voice take you to a place of bliss and elevation. ​Becoming a trainer for a Kundalini Yoga Teacher Training Program takes years if not decades of practice and study. 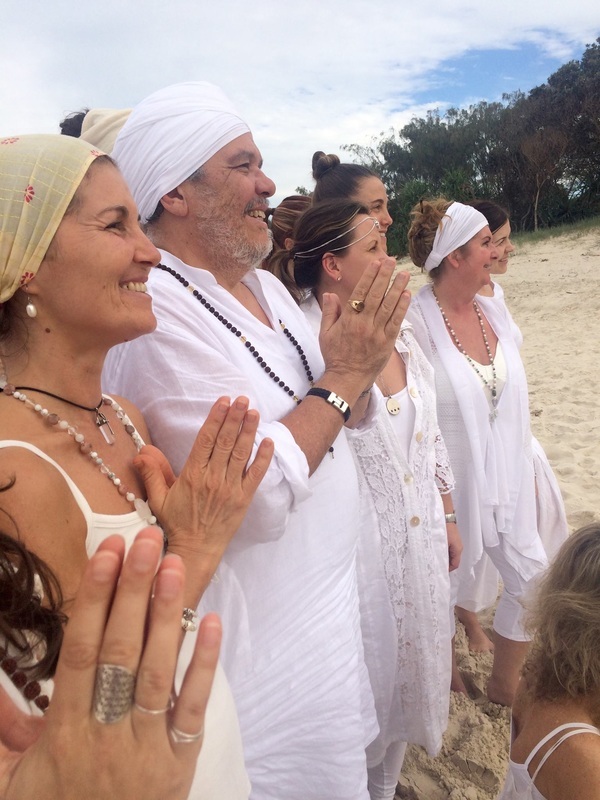 Potential trainers must have taught over 1000 hours of Kundalini Yoga, completed a Level One and 5 Level Two Modules totaling over 500 hours of study, and have spent several years mentoring with existing trainers. Potential new trainers are assessed by an international certification committee on their competence and maturity as teachers before being designated as associate, professional or lead trainers by KRI. On average it takes about eight years of mentoring before one is approved as a “lead” trainer. ​Be aware during your search for a teacher training about who your trainers are, their qualifications and legitimacy, and what association you will be certified with once you graduate. Too many students have been misinformed and have had to re-take their training with legitimate teachers once they discovered they were not properly trained or certified after completing their training. 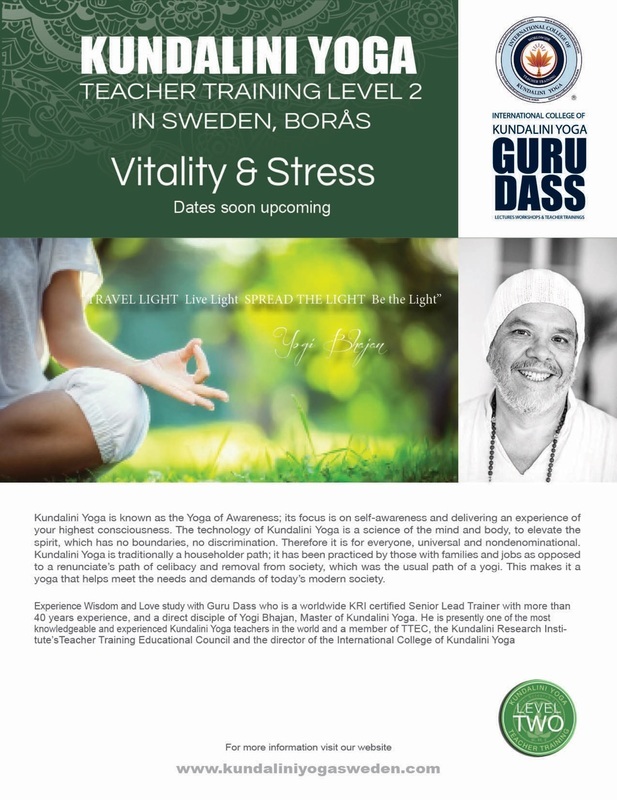 ​Guru Dass was mentored and approved by Yogi Bhajan himself and has been training teachers since 1982. He is a KRI certified Level 1 and Level 2 trainer, with over 40 years experience. He also a member of TTEC, KRI's Teacher Training Education Council.